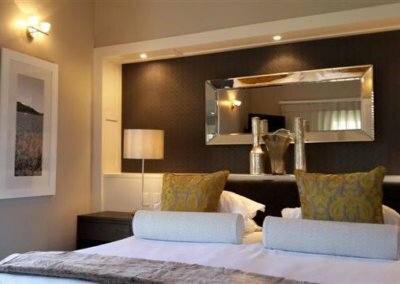 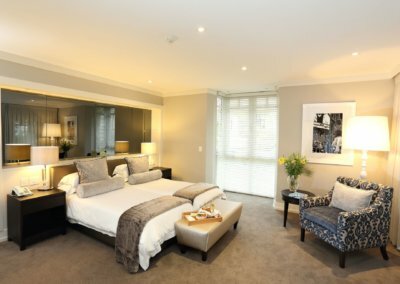 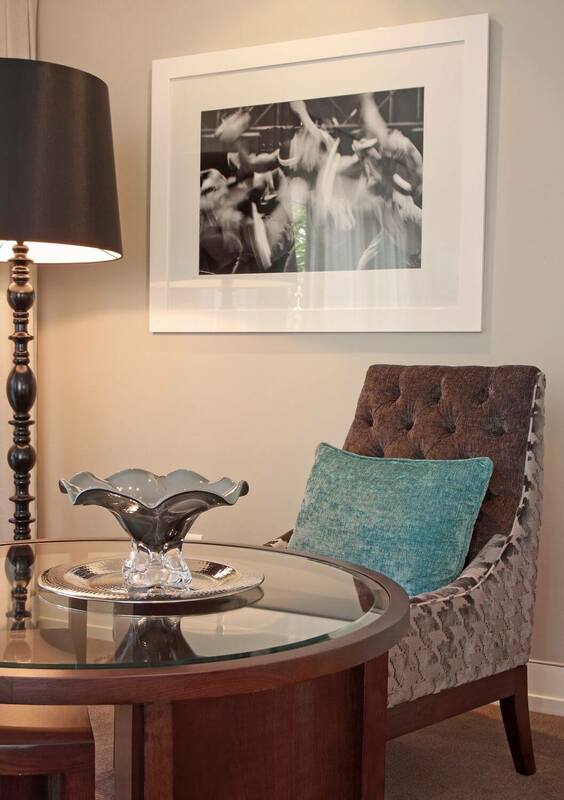 The Interior design of 46 existing garden and terrace suites – this was part of a complete upgrade and refurbishment that was undertaken in 2012. 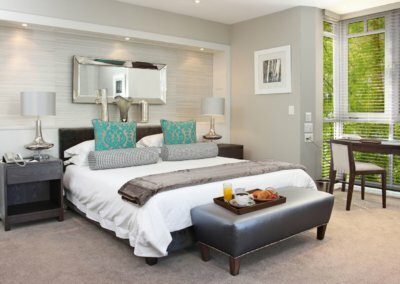 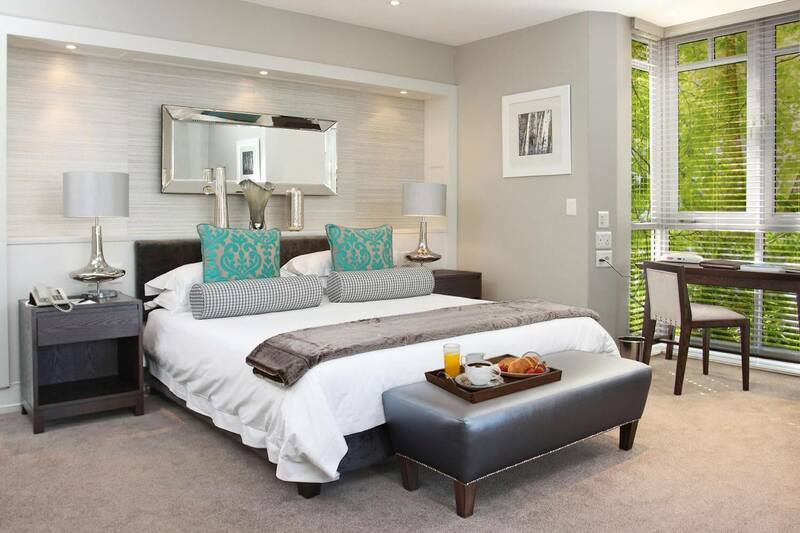 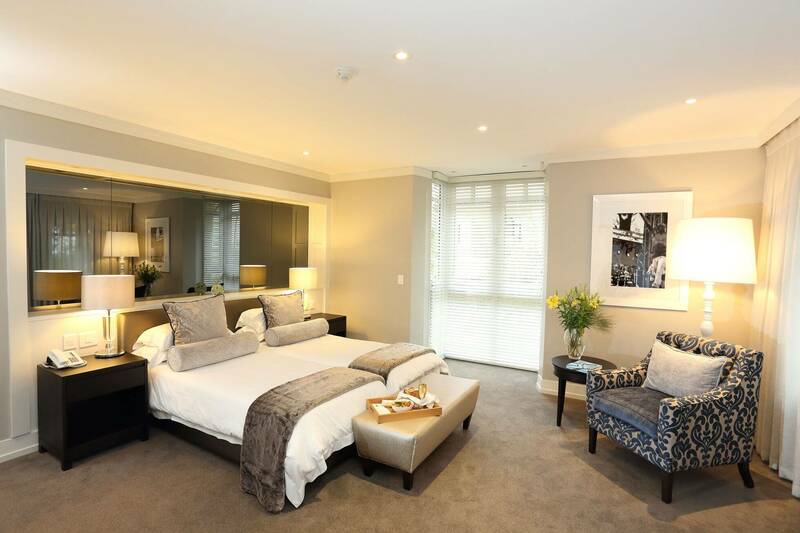 Our brief was to rejuvenate the existing 46 luxury hotel rooms with a modern yet classic feel. 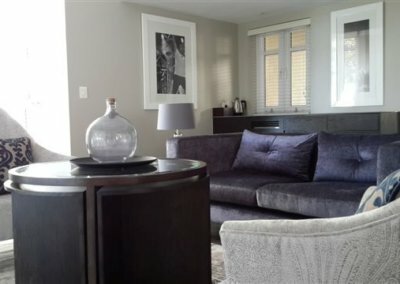 With an interior dating back 10 years, it was time to revitalize and transform. 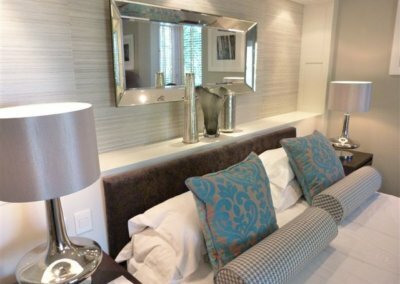 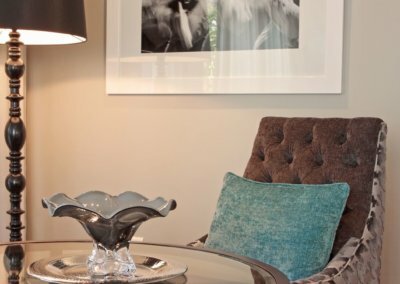 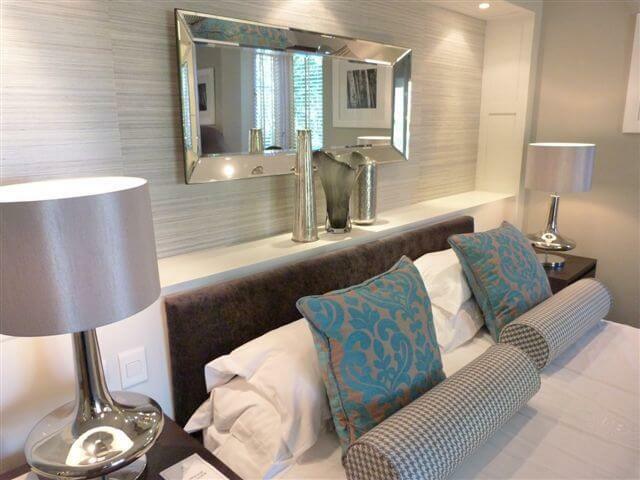 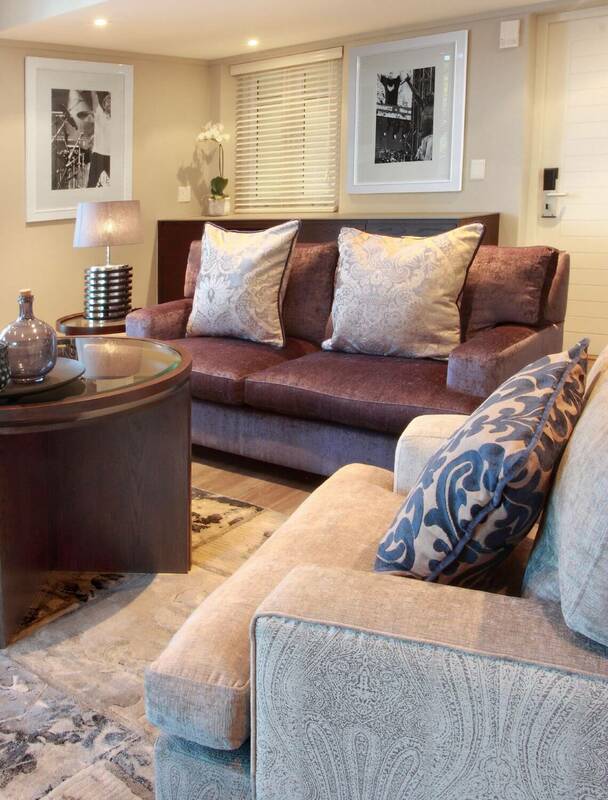 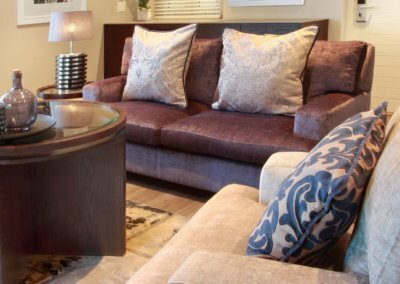 The use of clean modern classic colour schemes, luxurious fabrics, decorative wall papers, timber vinyl floors and mirrors uplifted the existing suites into an international quality home away from home. 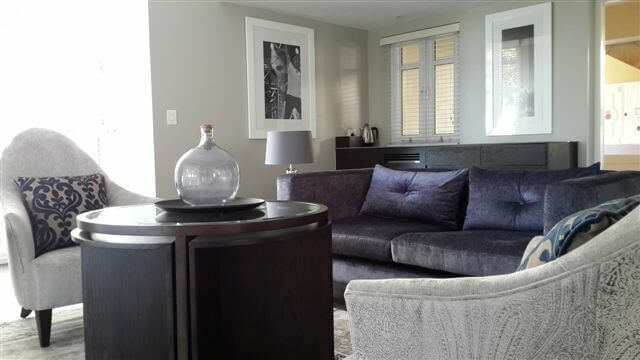 Clever recycling of existing furnishings and fittings & mixing in a few new pieces transformed the space into virtually new-look rooms.